If this is your first-time creating an event on Facebook, I've got you covered. 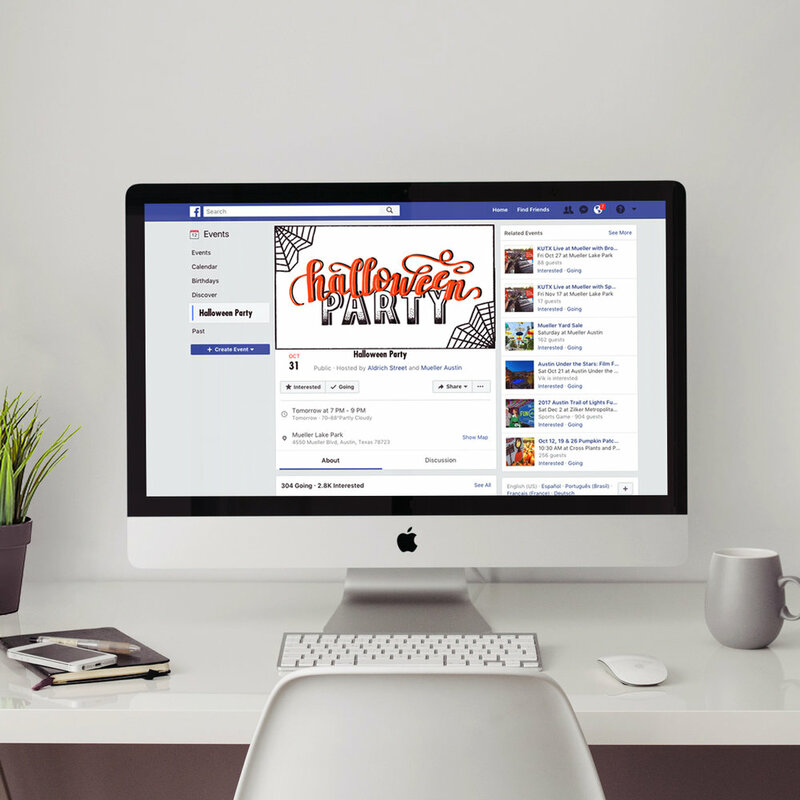 Actually, Sprout Social has you covered; they have a great article on how to develop compelling Facebook events. I'll give you a hint, they suggest using Facebook banners and even tell you how to do it! So, I hope you enjoy your free Halloween banner for Facebook! Happy Haunting! Download Halloween Event Banner below and you will receive one jpg that you can then upload on Facebook or any other website you choose to use to invite people to your party. Sign up with your email address to receive news and free stuff.